Can you guess which two have been the more problematic these days? That's right. Retail/online arbitrage, and private label. I'm not dismissing those methods. They still bring me money. But I -- and you -- have been hitting some roadblocks on Amazon, right? So let's break it down. Keeping track of all the different products and quantities. I'll always be friends with arbitrage, though. It's gotten tougher but I still enjoy the "thrill of the hunt", and I love snapping up holiday clearance items for the following year. But it's not without its headaches. Having to build up customer reviews (honestly and within Amazon's rules) via discounts, giveaways, etc. Again: I'll always be friends with private label. It appeals to the entrepreneur in me. But it's not without its headaches. You (the Amazon seller) are working direclty with the brand owner/manufacturer, so you are already granted permission to sell. The brand owner/manufacturer can easily restrict Joe-Schmoe sellers from piggy backing the listing, undercutting the MAP (minimum advertised price), etc. With a uniform product you're ordering wholesale, you can have a trusted pre-fulfillment center receive, prep and ship the products to Amazon for you, at a reasonable cost. This way, you don't have to 'touch' the product. So, does wholesale sound appealing? Great. I can tell you, it works! You're probably asking "where can I start?" What have your experiences been with retail arbitrage, private label, or wholesale? Post your comments below! We are pretty much RA with a smattering of OA. We have dabbled in wholesale, but most of our successful sellers are RA but in categories/brands that are a bit more restricted. Our holiday sales were well beyond expectations…4th quarter sales were higher than our entire first year selling. We still struggle, as most do, with new sellers who tank prices in an often unsuccessful attempt at earning the buy box. I do wish warehouse proximity to the buyer was understood a bit better, in regards to buy box and even successful sales that aren’t in the buy box. Thanks for sharing, Aaron. It’s great you did so well with RA (retail arbitrage) in Q4! I love your description of the three avenues! Hubby and I have tried all three, but have found our “home” with RA. Private Label – we had a product built in China, did great with our first order, but subsequent orders the manufacturers gouged up the prices and we’ve ended up with a garage full that is still selling – but slowly – we send in a carton at a time to save storage fees. We got burned and doubt we’ll go that route again. Wholesale – we had a “too good to be true” offer to be exclusive sellers – But… the product is new in the US, and hasn’t taken off very well. It’s a line of products and the only one of the products that has sold well is the one we make pennies from. Again, we have a closet full and wish we could just dump it all and cut our losses. We might try this again, but will learn from our mistakes and only follow the Wholesale Formula’s advice to find something that is already selling. Highly recommend their free workshop, and would love to sign up for the coaching once we have the funds to (1) pay for the coaching and (2) put a few thousand up in initial inventory. Love those guys! They’re passionate about helping others – as you are Jordan! Excited to see you all partnering together! Hi Laura, thanks for the compliment! It seems some folks strike gold with retail arbitrage, others are hitting major roadblocks. RA can be so unpredictable, but it’s great when you hit a home run. Thanks for sharing! We have been doing well with some ra but definitely got bit by target toys sales before Christmas. Still sitting on quite a few. Trying to add in wholesale to be able to scale faster. Hi Justin, yes many of us have faced the ‘unpredictability’ of Retail arbitrage (like when prices tank). I still find online arbitrage is hands down the fun way to sourcing but it time consuming. But your online arbitrage software makes it a little easier and faster. One of my horror I had faced was going deep on an item. Why? Because I sold the item last couple of years and I know it sold well and consistent. This holiday the item was on sale at a retail store. I spent $1500 hoping I can turn it to $2000 profit with 2 weeks. On day 4 of it gone live, the listing got suspended for hazmat. I was able to retrieve 1/2 of my inventory to return it. The other half got stuck at the fulfillment center and they don’t know I had to contact them manually to have my items ship to me (because when I created a removal, it said that my items is at a fulfillment center that doesn’t allow user to create a removal). It took my 3 wholes days of back and forth with the reps for them to figured out why I can’t create a removal order. The return deadline have ended and I have $800 worth of inventories that I can’t sale because other market have the item listed below what I had purchased for. So lesson learned: even if you know the item sell well don’t go do because you never know what amazing will do to that listing. Johnny that’s Amazon making those silly broad-sweeping changes (e.g. hazmat), sometimes they do it for items that clearly are NOT hazmat. That’s the good thing with Wholesale is (when you’re an authorized reseller), you have the power of the ‘brand’ (manufacturer) to help you remedy the situation. The manufacturer is in the same boat as you so they have every incentive to assist you (or you assist them) in remedying the situation with Amazon. Private label nightmare, having a new product which is being sold by 10+ brands, and within 10 days of launching, got a copyright violation notice, upon research that particular design was patented in USA, and this was not detected while product selection, listing or production. Current status, all 10+ brand’s product of same item are now showing currently unavailable, and just 2 sellers are selling that model with their brand name, both might be brands of same company. Hi Faizan, sorry to hear that. Yes it’s a good idea to do patent research before private labeling a product. Every time I try RA the products seem to sit and sit. I’m not doing it right! Wholesale definitely goes easier, though I have run into problems of lots of competitors. Hi Phil. Yes competition can be thick with wholesale. The key is to be persistent and show them specific methods of how you can add value to the manufacturer’s Amazon listing and help identify/solve their Amazon problems. Those Amazon sellers that do that become true partners with the brand/manufacturer. The Wholesale Formula’s free workshop goes into some of those strategies. RA failure…I jumped on the “chocolate” bandwagon after watching a webinar about Halloween in early October, and went big on chocolate kisses, chocolate candy bars and was faced with too many potential pricing errors where my buddy Amazon deactivated my listings because of a potential negative experience. I reported a major glitch in their system that wouldn’t update my page. Long story short, due to all these deactivations, I suffered lost sales and then the prices tanked. It’s been more than 60 days and too late to return to stores and I have more chocolate than I can eat. Moral of the story, I am NOT doing retail arbitrage again and will not buy chocolate ever again!!! Hi Holly, sorry to hear that. I usually avoid candy/chocolate *unless* it’s a ‘special edition’/’limited time’ candy that seems to be overly popular but clearly in shortage in stores/online. An ‘extreme’ example: I snapped up cases of Necco Wafers when it was announced – almost 2 years ago – that the maker was going out of business. Now, I had to hang on to that candy for 10 months or so (the manufacturer had reopened for a while and thus demand evened out for a short period) but when the manufcaturer closed for good (mid-2018), I sold the Necco Wafers at 2.5x to 3x my purchase price. But I got lucky, as the ‘Dum Dum’ candy brand this year bought the Necco brand and will resurrect the product. So RA can be great but there’s a ton of ‘unpredictability’ built-in to the model. In comparison, being an authorized reseller of a wholesaler helps eliminate a LOT of that risk. 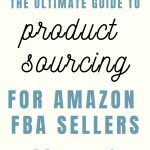 My favorite biz models are wholesale & dropshipping (from a legit vendor). 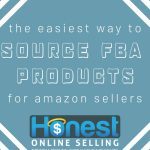 Wholesale is easy, dropshipping is even easier. Its also easy to get into trouble no matter how meticulous you are. My favorite fiasco was listing a certain item on Amazon. I don’t usually sell this item on Amazon because the margins are too thin, but due to a media frenzy at the time, there was a run & profits were running high due to the demand. I slapped a mere 20 up on AZ & they sold out within minutes. Good deal you’d think? Sit back & wait for the easy money to roll in.Wrong. Sunday night, vendor closed. I placed my orders & wait to collect my profits. So did several other sellers. Monday morning the vendor saw what was going on, jacked the price way up & stalled on filling our orders. They were just sitting there unfulfilled for hours. Half way through they posted a stock out & all orders were cancelled ! They wouldn’t even honor the sales already placed. Yes, they threw us all under the bus to keep the profits for themselves. What to do now? I was forced to scramble to fill my Amazon orders via eBay so I wouldn’t get dinged or lose my account altogether. Those who obliged obviously took a loss, but were trying to spare their own accounts. I had this item on Ebay as well, so I filled as many as I could via other eBay sellers & OA, but the item was virtually unobtainable at this point. I was lucky to fill several, but had to cancel eBay orders. I waited & prayed. This put me in the Ebay dog house for over 1 year & I lost money filling those orders. Over the next few days the price on this item skyrocketed & the vendors made a killing. Moral of the story: Never trust a vendor. Though they may seem nice & reputable, they WILL dog you in the name of money. Always have back-ups. I still use this vendor because they have the best prices, but I will never forget what they did. Hi Donna, sorry to hear that. Presumably the vendor was the one you had the dropshipping relationship with. Stories of greed like theirs rarely (almost never) happens in a legitimate wholesale relationship. Dropshipping is a business I, too, had a nightmare with and now I avoid it entirely. Thank you for the insight Jordan. We are mostly only selling RA with a little OA, but we have also seen another problem. 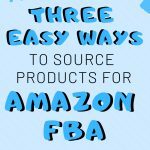 Over the past year, Amazon is making it harder to send items into FBA by splitting up the shipments. Not only are we having to send into many more warehouses than we used to a year ago, but we are also having issues where Amazon only wants us to send a couple small, light items to warehouses on the other side of the country. I have items that I keep trying to send into each order, week after week, and end up having to pull them. It used to be that most of our items went to what Amazon has designated as our main warehouse and a couple of other not so distant warehouses. We are now shipping small orders to 10 or 12 warehouses, and warehouses further way, so we are paying more per lb for shipping. I even tried their Inventory Placement, but they still split the order into many shipments, many of the shipments on the other coast. Amazon now says with their Inventory Placement that the placement will prevent SKU splits, so it will send all of an item to one warehouse. Which really doesn’t help. BTW, when did Amazon change how Inventory Placement worked? It used to be that they would try to send items to one or two warehouses that are somewhat near you. I have found myself wondering if this is a way that Amazon is trying to push RA/OA sellers towards Wholesale and PL. If you send in 18 or more of an item, it will all go to one warehouse and normally your main warehouse. Creating shipments is becoming so frustrating, that I feel we need to move onto something else, wholeseale in particular. Hi Elisa, yes your inventory splitting issue is something that you can possibly remedy by waiting till you get a bigger shipment ready. And yes, wholesale (and even private label) can help remedy that issue. I still like online arbitrage as it suits my situation at the time. I am leery of wholesale…what do you do if the price tanks and you have $3000 worth of product? Hi Patricia. Wholesale relationships (when the manufacturer is directly selling to authorized resellers) protect price tanking by enforcing MAP pricing (Minimum Advertised price). So all the authorized resellers have to abide by the pricing rules set by the brand/manufacturer. Now IF an UNauthorized seller pops up on the listing, who got his/her inventory via arbitrage or another method, and starts selling the same product LOWER than MAP, well usually they have very limited quantities so they just run out of stock, or the brand (and/or an authorized reseller working with the brand) can attempt to have that seller removed from selling that product. I purposely avoided the black Friday and target/Walmart etc type stores because listings tend to get overloaded in December. I went with much more clothing/activewear this year and it sold well before Christmas AND into the new year with everyone making their weightloss resolutions. This was my 5th Q4 and 2019 is my bundle/wholesale/private label year. Owning your listings is becoming much more important for Amazon success these days. Nicely said David. And yes I’ve seen Retail arbitrage folks diversifying into clothing/activewear. Thanks Matt. Yes the Wholesale Formula definitely does work. But many sellers start out with estate sales/yard sales/storage auctions and that’s how they get the capital to move into wholesale or private label. There will ALWAYS be a big market for ‘used’ stuff that sellers can make nice profits from (but like you said, it’s hard to scale that. Possible, but still hard). Meg that’s some creative sourcing and selling right there. I love it! 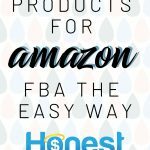 I currently do RA/OA because I’m still in the early stages of my business and I don’t have a lot of money to spend. Eventually I would like to transition into using wholesale along with a prep center so that I can be location independent. Private label just seems like too much work for me! 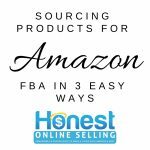 Hi Jennifer, yes many sellers start out just like you until they have enough cash saved to make a small first wholesale order with a manufacturer/brand. In fact, that’s exactly how The Wholesale Formula guys started a few years ago. I’ve only done a little retail arbitrage, so it’s hard for me to compare here. I do a lot of CL to eBay or Amazon. This Christmas was my lowest in recent years. Not sure why. 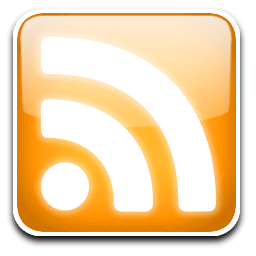 Hi Gary, I hear a variety of stories from folks doing retail arbitrage or online arbitrage. Some are killing it (it’s a lot of work though), some are in the middle and some take a loss. True. I always keep my eyes peeled for OA/RA deals that are just too good to pass up. 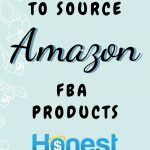 I currently source products via arbitrage -retail & online. 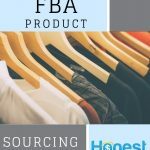 There are benefits – you could start with as little as $50, profitable finds, easily combine your sourcing with household shopping and it is easy to do. The disadvantages I have personally experienced ( prices tanking, very MANY sellers on a listing, difficulty finding enough profitable deals, time consuming, and my dread of going out to the store in -35c weather) makes wholesale very attractive. I will be attending the free workshop. Titi – yes many sellers sourcing via arbitrage have experienced the very same pros and cons you have! We first heard of retail arbitrage in August of 2018. It sounded AMAZING! We hopped down to our local Walmart (which is a big deal because we NEVER shop at Walmart). We found a bunch of these Bluetooth karaoke microphone things with a selling rank of 150. That sounded kinda good. We bought all of them at $3 apiece, a shopping cart of $220, figured out how to label them and off to FBA they went. They all sold right away in the $20 to $12 range. Yep got suckered in a race to the bottom as we had zero idea what we were doing. We were GOOD at this. Born naturals even. I took all of the profits, went onto eBay and stocked up on box loads of exploding kittens. Hot game right? We were going to kill it at Christmas! I have been doing private label for 18 months, while still working part-time in my day job and looking after my daughters. – Gathering the first reviews can take a lot of time, especially when most buyers are leaving product reviews as seller feedback by mistake! But on the overall Private Label has the potencial to be very profitable snd as you said Jordan, it gives you a nice entrepreneurial feeling! Unless you have an exclusive deal with the wholesaler, there can still be problems with other sellers undercutting the price. Hopefully the wholesaler will ask each seller to agree to MAP, as you say. I also like a mix of RA, PL, and wholesale. Hi, Jordan! What a fun give-away and a great blog post. 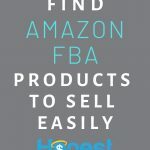 My husband and I just became FBA sellers in November. We started working with a distributor and getting ungated in toy categories in January. We have already experienced a lot of the problems you mentioned. Products forcibly removed, cease and desist disputes, bloated supplies and plummeting prices. This is all just with retail/online arbitrage. Like you, I enjoy the “thrill of the hunt,” so I will always be scanning. We have looked into private label, but feel that we are not ready to make that jump quite yet. As for wholesale, we have actually gotten approved with some manufacturers to sell wholesale. 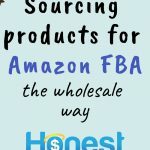 Here is my big question with wholesale: How does anyone make money with FBA going wholesale? With the manufacturers with which we’ve been approved, their per item price (and even sometimes reduced pricing) is only a few dollars less expensive than the listed price on Amazon. By the time shipping and FBA fees are paid, I would basically be paying to sell the product. Again, since we are new at this, I am still in the throes of figuring it all out, so this may have a very simple answer. I am still learning and am excited about the sourcing wholesale seminar!